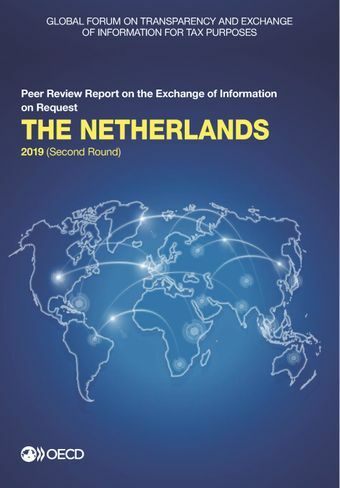 The Netherlands was rated overall Largely Compliant with the international standard on transparency and exchange of information (EOI) on requests handled over the period from 1 July 2014 to 30 June 2017. Since its 2013 first round report, the Netherlands has taken measures to address some of the deficiencies identified, in particular, by developing its EOI network with all relevant partners and upgrading its existing treaties in line with the standard; and monitoring the handling of over 2 000 incoming EOI requests. As a result, the response time to requests for information has improved and peers noted the excellent communication with the Competent Authority. On the transparency side, the report determines it is partially in line with the international standard, due to the possibility for certain companies to continue issuing bearer shares as well as the absence of obligation for all beneficiaries of foundations to be identified. The Netherlands have recently taken measures to implement the requirements of the availability of beneficial ownership information by amending its domestic definition of beneficial owner and simplified CDD rules in line with the standard. However, a legal gap remains since the requirement to maintain beneficial ownership information only exists for AML obliged persons, and not all entities and arrangements have the obligation to engage an AML obliged person. Practical implementation of the new amendments requires further monitoring to ensure it meets the standard.